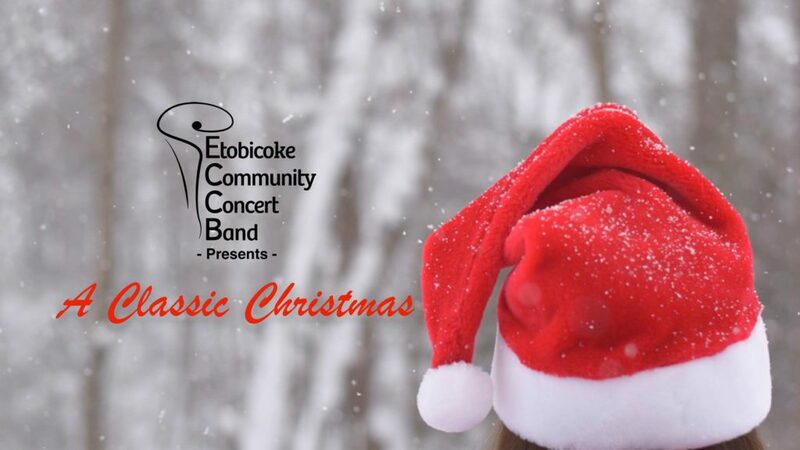 The Etobicoke Community Concert Band invites you to join us in getting the community in the Christmas spirit at our next concert, “A Classic Christmas”. The band will play some traditional and distinctive arrangements of some classic Christmas tunes, as well as a few selections from some of our favourite Christmas films. The band will be joined by our special guest, Jean Augustine, who will continue the ECCB tradition of reading ‘Twas the Night Before Christmas. And who knows, there might even be a visit from Mr. Santa Claus. You won’t want to miss it! Please join us Friday, December 7th, 2018 at 8pm at Etobicoke Collegiate Institute, 86 Montgomery Road, Etobicoke.